"The Ladakh land of high passes, virgin beauty of shimmering lakes, gurgling rivers, humongous mountains, mystic lamas and loving people". The Ladakh is known for its extreme deserts, blue waters, freezing winds, glaciers and sand dunes. Ladakh is a region of India which is totally isolated from the modern world. The main source of water is the winter snowfall on the mountains.A land of freezing winds and burning hot sunlight, Ladakh is a cold desert lying in the rain shadow of the Great Himalayas and other smaller ranges. Little rain and snow reaches this dry area, where natural forces have created a fantastic landscape. Surrounded by rugged mountains this land is completely different from the green landscape of many parts of the Himalayas. Bounded by two of the world's mightiest mountain ranges, the Great Himalaya and the Karokaram, it is a land which has no match. The life in Ladakh is mainly characterized by spirituality because from the beginning it is being faithful to its ancestral customs and traditions or in other words we can say that the way of life in Ladakh is simple, as modernity has not touched Leh town. 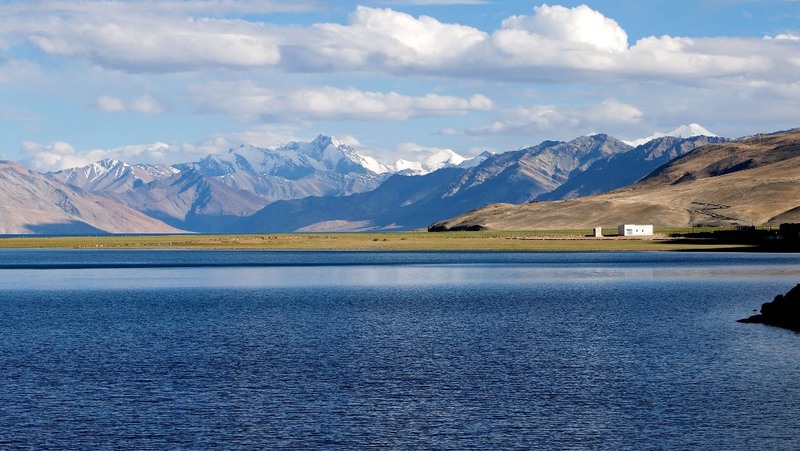 Ladakh is also known as a mysterious Land which has never ceased its beauty and nature like its highest peaks, snow capped mountains, flowing rivers. The architecture in Ladakh exhibits strong and deep influences from Tibet and India which shows great regional diversity. The architecture of Ladakh can be seen in the various monasteries and Gompas which are enchanting. Sight-seeing in Ladakh is a very rewarding experience as this is a place that offers so much to see, learn and enjoy. Within the main periphery of Leh, one must visit the Tsomo Gompa, the Leh Palace, the Hall of Fame and the Shanti Stupa.The population of Ladakh is evenly divided between Muslims and Buddhists. There are several hundred Christians also. Ladakh has witnessed Stone Age, as stone tools have been found in some parts of the region. The early history of Ladakh is shrouded in mystery. It formed originally a part of Tibet. But in the 10th century it became independent under a line of Tibetan kings who accepted the Grand Lamas as their Suzerains. This dynasty known as Namgyal continued to rule till 1836, when Gulab Singh, the ruler of Jammu & Kashmir invaded Ladakh and annexed it to the Jammu & Kashmir territory. For centuries, Ladakh has been an important center of trade between India and the countries of the Central Asia.Leh, the capital served as the terminus for caravans.